Most Alzheimer's dementia patients struggle with remembering recent events, thinking clearly, and communicating what they need or how they feel. As a result, these symptoms cause dementia patients to become regularly frustrated and experience frequent mood swings. In some extreme cases, a victim can even experience a complete change in personality. For these reasons, among others, providing care to a loved one suffering from the disease can be challenging. It is estimated that more than 5.5 million people are living with Alzheimer's dementia, and about 15 million Americans provide them with unpaid care. These people are often friends or loved ones of the patients. 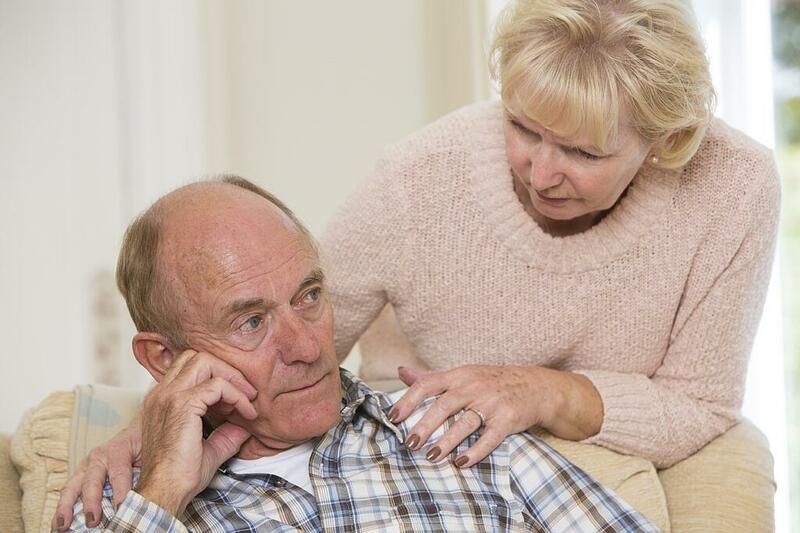 Most patients diagnosed with Alzheimer's undergo a rollercoaster of emotions. They often face denial of their current medical condition as they struggle to maintain control of their emotions and functional abilities. Indeed, it can be challenging for a person who has been independent their entire life to come to terms with the reality of requiring constant care. The disease has no known Alzheimer's prevention or cure. In addition, research shows that the average survival rate of senior citizens who are diagnosed with dementia is between 4-8 years. Those diagnosed with Alzheimer’s can live with the disease for as long as 20 years. Patients with Alzheimer’s and dementia often experience depression and low spirits as a result of their condition. They may struggle to remember basic things and become frustrated. Caregivers are faced with the challenge of lifting the mood of their loved ones and preventing them from undergoing depression episodes. This can be challenging because loved ones also tend to feel sad and compassionate for their struggling patient. However, caregivers can help to lift their loved ones' spirits through positive body language and a positive outlook. The most common struggle for caregivers is effective communication. Alzheimer's dementia patients may suffer from short-term memory loss and forget what happened a few minutes ago, resulting in confusion and frustration. Caring for a loved one with dementia or Alzheimer's is very time consuming, medically expensive, and require many other accommodations of caregivers. Most people mistakenly think that Alzheimer’s only strikes senior citizens and therefore does not qualify one for disability benefits. However, due to the possibility of early onset Alzheimer’s (which affects nearly 200,000 people under age 65), the condition may enable one to qualify for disability benefits. In fact, early onset Alzheimer’s is on the Social Security Administration’s list of compassionate allowances (CAL). This means that persons who are diagnosed with early onset Alzheimer’s and can prove that they are suffering from this condition are eligible for expedited processing of their disability application. This often means that they will automatically qualify for benefits as a result of the disabling nature of their condition. The challenge that faces most Alzheimer's dementia patients is proving that they actually have the condition. Early onset Alzheimer’s can be difficult to diagnose because the condition hasn’t progressed and manifested its damaging effects over time. It is, therefore, important to keep all medical and treatment records handy as you prepare your disability application. You may need a loved one to help you file the application if the condition is already impairing your functionality. The SSA also may assess a patient’s abilities in various areas, such as their ability to understand instructions, remember basic information, and apply their knowledge to certain tasks. They also may assess one’s ability to concentrate on specific tasks and to interact effectively with others. If they find significant struggles in these areas, the patient also can qualify for disability benefits. When applying for disability benefits for a loved one with Alzheimer's dementia, it is important to consult disability experts who can guide you through the application process. This can help to make sure that your loved one has the best chance of receiving the benefits they deserve.